Intricate details on Gothic arches. 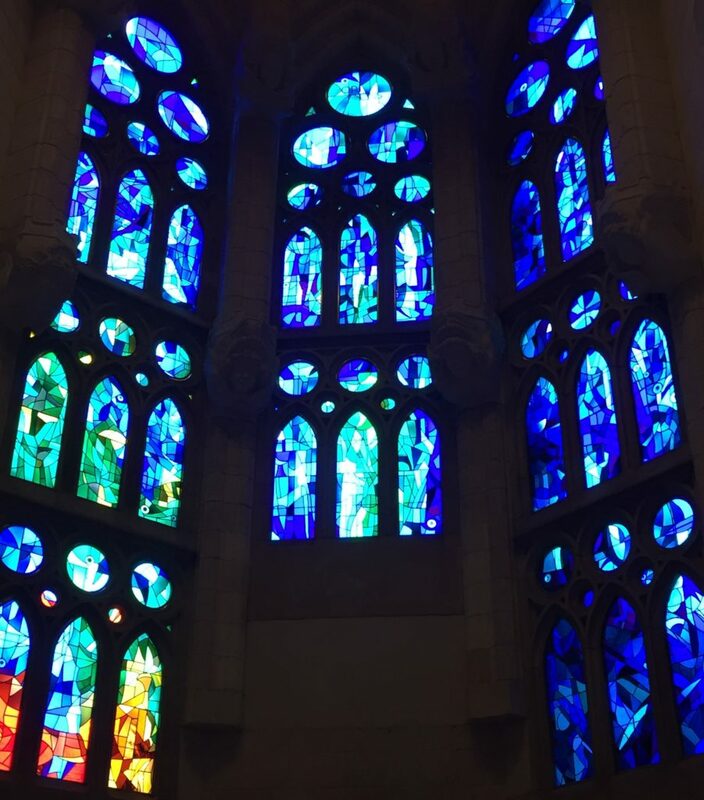 Light filtering through blue stained glass. Red, orange, and yellow glass windows. Cold rains pelt the top of my flimsy black umbrella. My skin is covered in goosebumps despite the winter coat tied close around me. Bodies close in all around me, suffocating my personal space. The wind whips through my hair, through my clothes, carrying the wail of car horns and tires splashing through puddles. I pay no attention to any of it, everything around me is nothing but an annoyance, a distraction from the work of art situated in front of me. 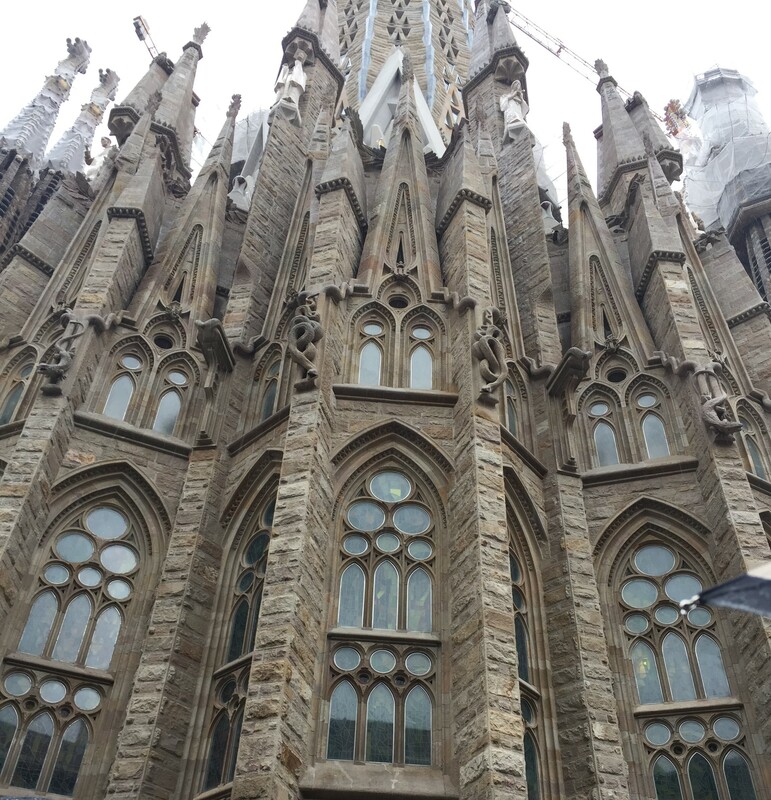 The Sagrada Familia, a living, growing, feat of architectural genius. Although incomplete, with plastic sheeting hanging above various towers to protect them from the rain, it’s gorgeous. Simply viewing the outside of the iglesia is enough to make you forget to breathe. Towers loom hundreds of feet into the air, seeming to kiss the clouds. 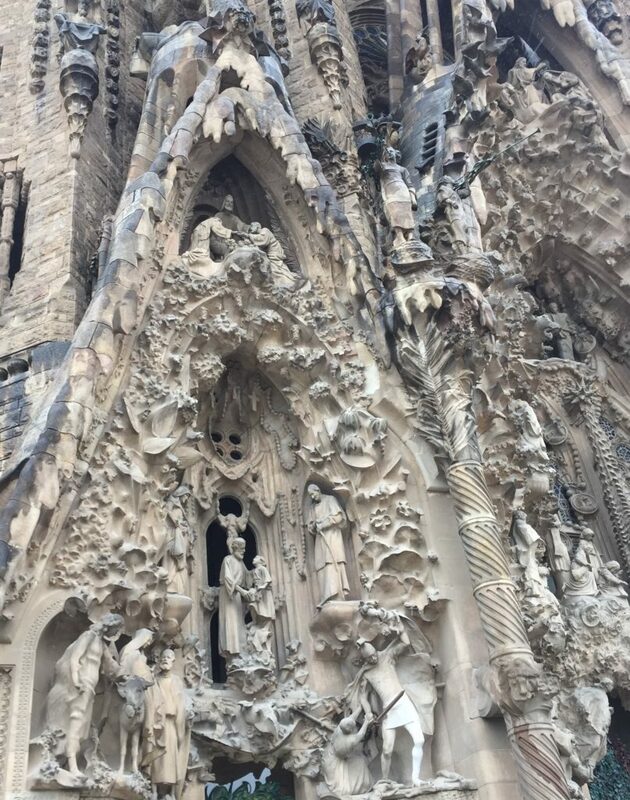 The carvings gracing the facade of the structure are intricate and beautiful, curving along the arches characteristic of Gothic architecture. Drops of rain fall onto faces of gargoyles and theological characters, so it almost seems as if they are weeping. However, none can know if it is from joy or sadness. Stepping out of the frosty drizzle, the security checkpoint offers a slap of reality. There is no magic here, as there is outside the wall of the church or inside its graceful hall. The guards command me to strip off my coat, my only layer of warmth, and place it into a bin along with my phone, radio, and my boots. I am ordered through a metal detector before the guards lose interest, turning to the next visitor, and I reclaim my comfortable attire. Who can concern themselves with security details when you are surrounded by such ethereal beauty? The moment I step into the heart of the church, I am rendered speechless. The tour guide I was assigned rambles on about the infrastructure, but I can scarcely hear her. My mind and ears seem to be numb, and my eyes can barely comprehend the marvel that surrounds me. Colors shimmer all around me. Green and blue hues wash into each other, like watercolor paints, coating the walls and the ceilings, and the floor tiles. Across from me, on the other side of the church, reds and oranges and yellows bleed into each other, colors gushing onto every available surface. Shadows flicker and dance beneath my feet, light coming from the white lights living in the florals decorated on the ceiling. It’s the most exquisite sight I have ever seen. The group moves through the beating heart of the church. People shuffle about, stopping the flow of bodies as they pause to take pictures. As if any picture on an iPhone, or even a professional Nikon camera, could ever give this place the justice it deserves. 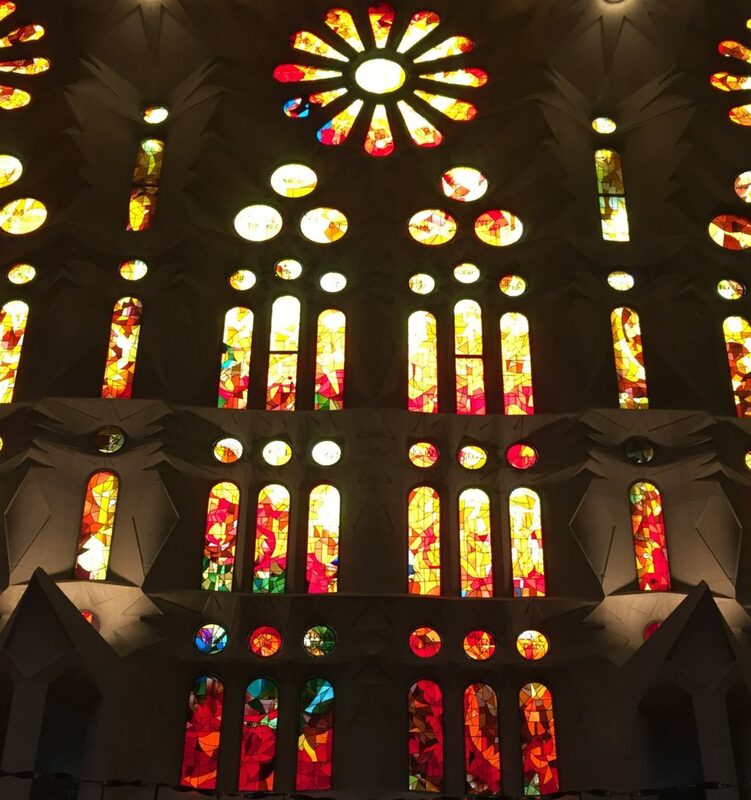 It might be possible to capture the beauty of the colors gliding across the walls, the swirling details on the windows, but a picture could never allow someone to feel the magic that drifts through the Sagrada Familia. You feel as though you are no longer connected to the Earth, or bound to the mortal realm. Instead, you feel higher. Not in stature, not placed in a higher position of pride, but as though you are floating through the clouds on a small island of heaven, viewing the world and all its wonder.